Prieb's popular Levi II plan with the grand entry front elevation. The Levi II has all the great features of the original Levi Plan, as well as additional square footage and upgrades. It includes more square footage in the kitchen and an expanded granite kitchen island. The Master Bedroom was expanded to include a master sitting room. The Master Bathroom has been redesigned from the original Levi with a new look, but it now includes a custom rounded ceiling above the jetted tub. 20400 W 108th Street (MLS #2133967) is a traditional single family home located in Olathe, KS. This single family home is 2,873 sqft with 5 bedrooms and 4 baths. 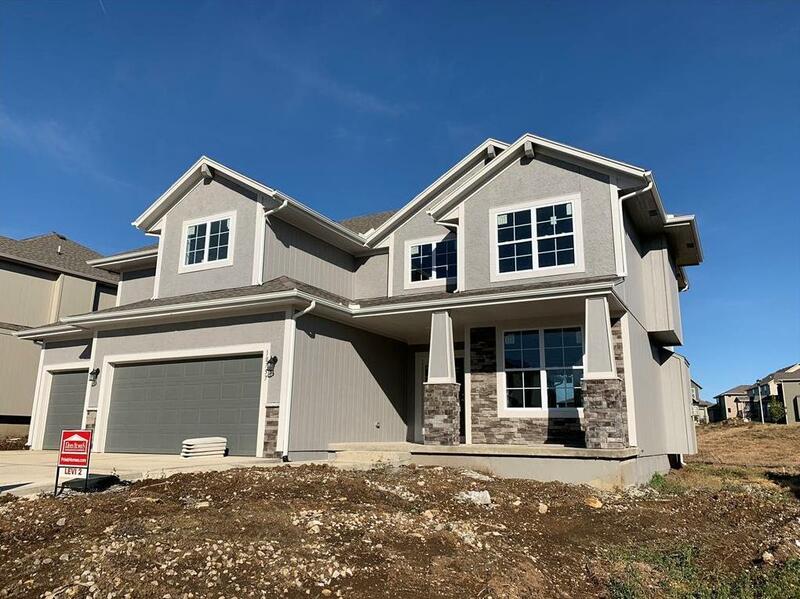 This property was listed on 03/25/2019 and has been priced for sale at $427,950. Nearby zip codes are 66083, 66210, 66219, 66220 and 66227. This property neighbors other cities such as Lenexa, Shawnee and Spring Hill.